1. Bake the whole pumpkin at 195C for an hour then check for readiness by pressing onto the pumpkin. If it is not soft, reduce the temperature to 160C and keep for another 30 minutes. Let it cool down. 2. Cut the pumpkin in half and remove the seeds. Using a large spoon scoop out the pumpkin flesh and measure 500g for the bread. The rest can be frozen, or stored for 3 days in the refrigerator if placed into the dry clean glass container. 3. 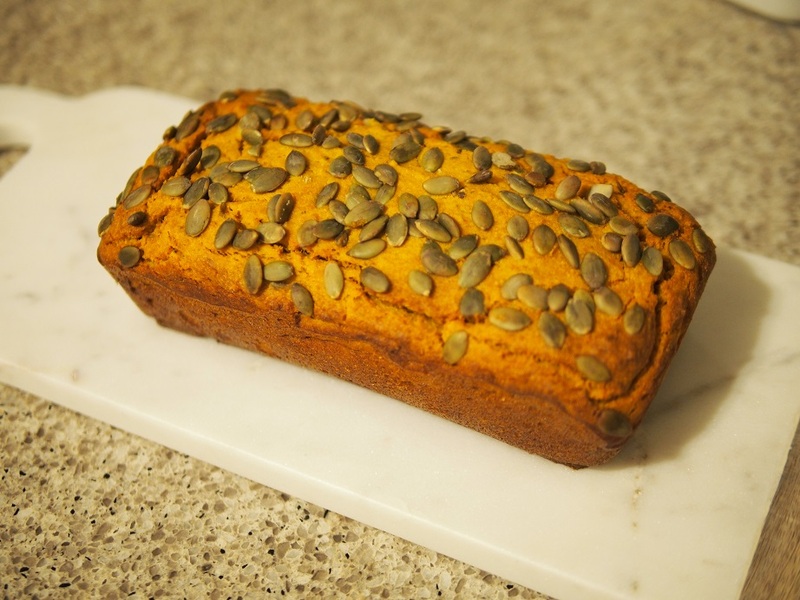 Save about 20g of pumpkin seeds for topping the bread later. Crush the rest of seeds in the coffee grinder for a few seconds or mortar. 4. Mix all the ingredients except those saved pumpkin seeds for topping. Transfer the dough into a silicone bread form and sprinkle with the rest of pumpkin seeds. 5. Bake standard size bread at 180c for 35 minutes. If needed switch off the fan. Bake mini breads for 25 minutes.